1) Having a rotation of go-to activities. In any given week, we probably visit two of the following places: our local library, Chick-fil-a, and the local park. I can’t give enough shout-outs to our local library for scheduling so many events designed for babies and toddlers and for keeping a super clean (and fun) children’s play area. 2) Schedule in-home play dates with friends. These are simply the best, because I can have adult conversation without the need to explain why my house is a mess. 3) Splurging on one pass. Season or yearly passes can add up quickly. And, the DFW area has plenty of them to offer. This year, because of the kid’s ages and Lillian’s love of animals, we chose a yearly membership to the Fort Worth Zoo. The upside to this decision is that the Fort Worth Zoo is open 360 days a year and has lots of members-only perks. 4) Keeping a list of cheap (or free) activities in the area. I don’t mind occasionally spending a little money to see the kids have fun. However, at this age, I’m not willing to spend more than I won’t miss if an outing is cut short by a tantrum, accident, or both! Fort Worth luckily has hoards of free and cheap activities to choose from. Some of our personal favorites right now include the miniature train and local splash parks. 5) Sometimes, saying yes to (semi-planned) special treats. 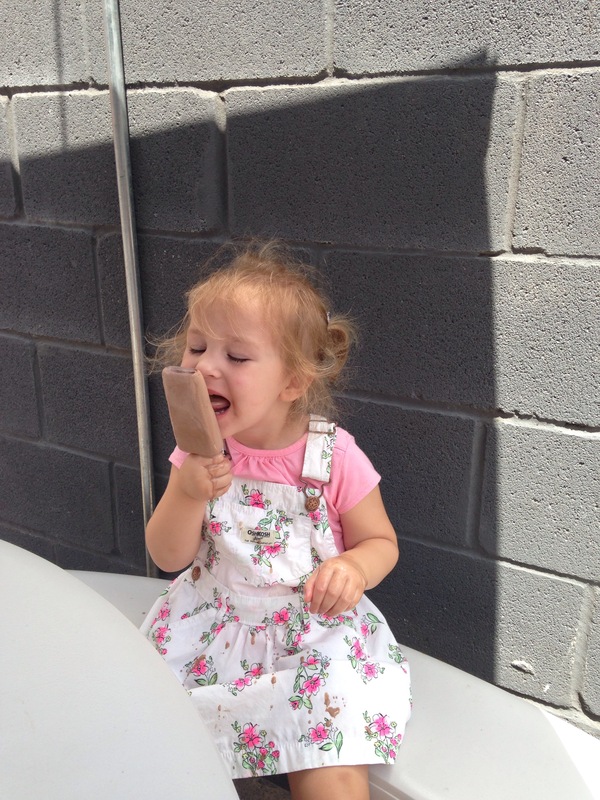 I can’t feed my toddler ice cream every day like she requests for health and budget reasons (ok, MOSTLY the former). 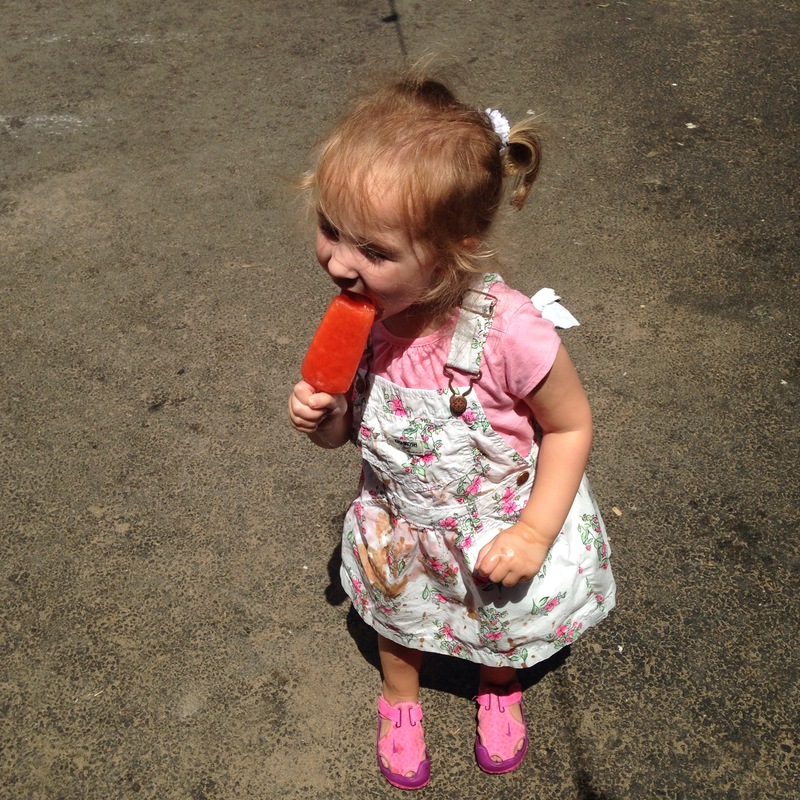 But, occasionally, I like to splurge and let her enjoy some of the awesome treat places that Fort Worth has to offer. Because, who doesn’t love trying something new? Today we said “YES” to Steel City Pops. Lillian’s official review of the chocolate was “MMMMM…Yummy!” And, she thought the Strawberry (she stole mine) was “Licious.” Needless to say, it was a hit! So, we will most likely be back. But next time we might take a change of clothes. I know that, eventually, we will want to take them on trips, enroll them in camps, and that their hobbies will become a little pricier. But, in this season of life, we are enjoying being creative in our activities. It really is SO much fun seeing them discover new things! Amazing! I have summers off because I work for an elementary school, which is great, but I want to do everything during my free time and have hardly any money to keep up with it! You inspired me with your great ideas and vast wisdom! Thanks for sharing, mama! Ps your littles are adorable! We love the Benbrook Library. But, the Fort Worth Central Library is also awesome! They have a list of events up on both library websites! The Kimbell also has a free toddler area that is super nice (and airconditioned!)! Very creative ideas! Love the pics too.